U.S. Highway 66 was always different from other roads. During the decades it served American travelers, Route 66 became the subject of a world-famous novel, an Oscar-winning film, a hit song, and a long running television program. The 2,000 mile concrete slab also became a seven-year obsession for Susan Croce Kelly and Quinta Scott. They traveled Route 66, photographing buildings, knocking on doors, and interviewing the people who had built the buildings and run the businesses along the highway. Drawing on the oral tradition of those rural Americans who populated the edge of old Route 66, Scott and Kelly have pieced together the story of a highway that was conceived in Tulsa, Oklahoma; linked Chicago to Los Angeles; and played a role in the great social changes of the early twentieth century. 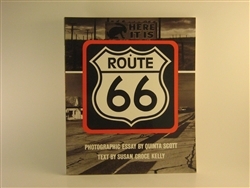 Using the words of the people themselves and documents they left behind, Kelly describes the life changes of Route 66 from the dirt-and-gravel days until the time when new technology and different life-styles decreed that it be abandoned to the small towns it had nurtured over the course of thirty years. 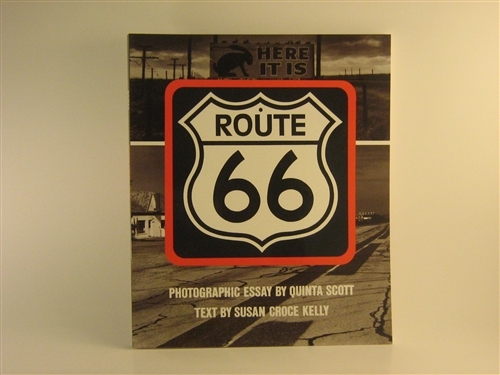 Scott's photographic essay shows the faces of those 66 people and gives a feeling of what can be seen along the old highway today, from the seminal highway architecture to the grainfields of the Illinois prairie, the windbent trees of western Oklahoma, the emptiness of New Mexico, and the bustling pier where the highway ends on the edge of the Pacific Ocean.